YouTube TV Will Stream 40 Channels for $35 a Month — Time to Cut the Cord? Cutting the cord is a popular topic these days. With numerous streaming services out there, it’s tempting to ditch your costly cable subscription and take the plunge into a no-contract, internet-based service instead. But what about when you want to watch, say, the Oscars or the World Series? And of course, you don’t want to let go of your beloved Netflix — that would just be ludicrous. Yet if you start subscribing to multiple streaming services to access all your favorite programs, you may end up paying more than you would with cable! So how are you supposed to ditch cable contracts and still watch everything you want to without falling into a financial black hole? YouTube could make it possible. 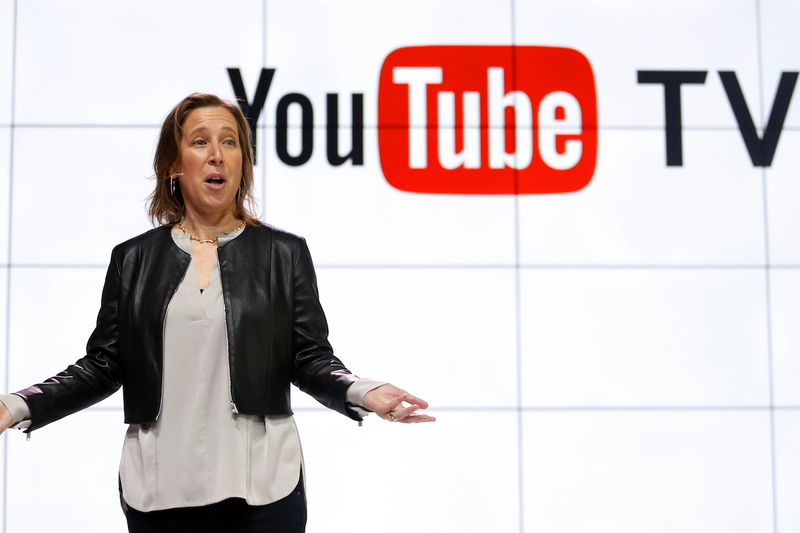 On Feb. 28, YouTube announced its newest service, YouTube TV. For $35 a month, YouTube TV offers live TV streaming and a cloud-based digital video recorder service. Even better: There’s no long-term contract. The cloud-based DVR means you can watch and record as many live TV programs as you want all at once, and it never runs out of storage. You can stream recorded programs on multiple devices, such as your cell phone, tablet or computer, and store them on the cloud for up to nine months. The service offers more than 40 networks, including ESPN, ABC, NBC, The CW, Fox Sports, E!, Disney, National Geographic and others. YouTube Red, the company’s original content platform, is also included in the subscription. For an additional cost, customers can add Fox Soccer Plus or Showtime. The only downfall? You need a Google Chromecast or a TV with built-in Chromecast. Fortunately, a Chromecast only runs about $35 from Best Buy. How Does YouTube TV Compare to Cable? So, is it really that great? I decided to take a closer look. My cable provider is Spectrum. I headed to its website and looked at the plans it offers to find one as close to the YouTube TV service as possible. With Spectrum, I could get 125 channels for $46.04 per month. If I wanted a DVR, it would up the bill to $63.02 per month, plus a one-time fee of $34.99. The total cost upfront would be $98.01. Include my $39.95 internet bill, and I would pay $102.97 per month with Spectrum. How does that compare to switching to YouTube TV? The YouTube TV subscription would cost me $35 and a Google Chromecast would be about $35. Throw my internet into the mix, and the upfront cost would be $109.95. That’s $6.98 more expensive than cable. However, my monthly cost would drop to $74.95. That’s a difference of about $28. Over the course of a year, I could save about $336 if I had YouTube TV instead of cable, which definitely covers the $6.98 extra upfront costs for YouTube TV. And with Spectrum, I can’t record multiple shows at once or watch them anywhere I go. I would have to be at home to watch anything. If you’re still reading, congratulations; I saved the best part for last. YouTube TV users can create up to six different accounts under one subscription for no extra cost, making it perfect to share with your family or friends. So, here’s some more math (bear with me, this one is easy): $35/6 people = $5.83 per person. Basically, you could get cable for less than $6 a month and watch it wherever you go. On that note, I might start calling my friends to see who’s interested in sharing an account with me. What’s the best plan for you? It depends on what type of services you’re looking for and how it all adds up. So do a little math, and find out! Your Turn: Will you make the switch to YouTube TV?